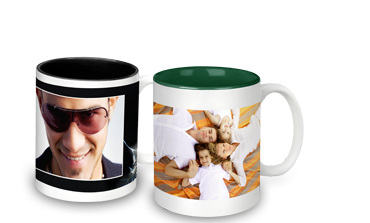 Photo gifts for more fun at the office. Just the thing to brighten up the working day for you or your loved one! Break-time snacks from the sandwich box with that extra smile factor, or a pencil case to keep things tidy. 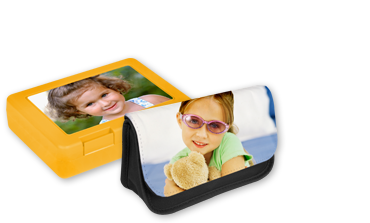 Photo gifts guaranteed to inspire! Ideal gifts, and not just for children! Decorative gifts with striking effects. These personal photo gifts will provide the finishing touch to any room. 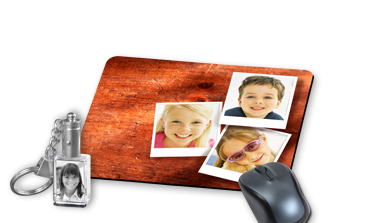 With our professional editor, you can design photo gifts combining your pictures with our design templates. • Creating a unique shirt, or a BBQ apron party at home is fun. It’s not what you give but what the gift yields that counts. Good memories and positive emotions are the best return.